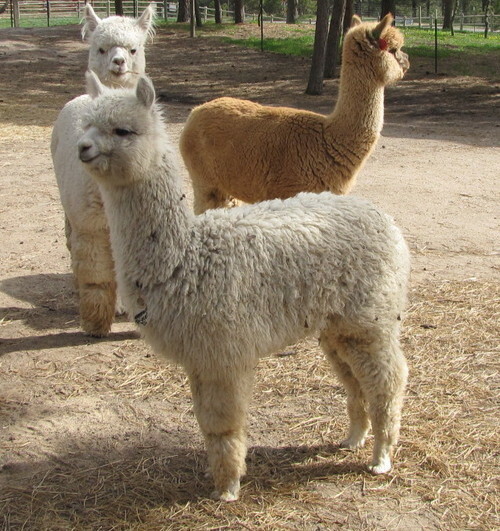 Royal Princess Di, her 2011 cria out of Avanti,adds Royal Fawn to a "Wish list" of ancestors: Hemingway, Drambuie, Presidio, Olympus, and the ultimate Accoyo Caligula. A very attentive mother and easy birther, Dani is gentle & easy to work with. 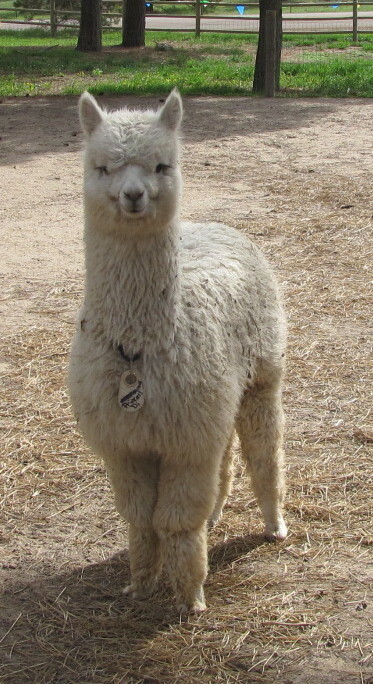 She sells in a 5-in-1 package that includes: her bred to Royal Peruvian Avanti; Danielle's late 2011 daughter Princess Di out of Avanti (so you can see what you'll get! ); and, Justine of FRA, a yearling Avanti daughter out of a very good gray dam, ready to breed to Snowmass Enlightenment in mid-June when he arrives back from our Ohio co-owner. Our Ultimate Retirement Sale has almost ended, with 82 alpacas sold in the past 18 months. Many breeders and newcomers have availed themselves of our widely diverse bloodlines and fabulous package prices. While we will not be operating an active farm after the 2012 breeding season, we remain attentive via email,phone and in person to the needs of our buyers. 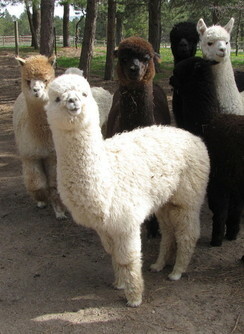 This weanling's pedigree reads like a Who's Who of the alpaca industry. The dam has Caligula (twice! ), Hemingway, Drambuie and other well-known ancestors. To that, we added Avanti's Royal Fawn and Peruvian White out. And she is definitely a member of the Royal family.